Power Systems Analysis | Engineered Solutions, Inc. Engineered Solutions, Inc. offers power systems analysis as a means for safety and proper management of high and medium voltage electrical systems. Power systems analysis includes arc flash analysis, short circuit analysis, and coordination reports. An arc flash is a type of electrical explosion that results from a low-impedance connection to ground or another voltage phase in an electrical system. This potential for a flash is rated on a scale of 0-4 followed by an extreme danger category. After producing this rating, appropriate protective equipment (PPE) is suggested to work on the equipment. 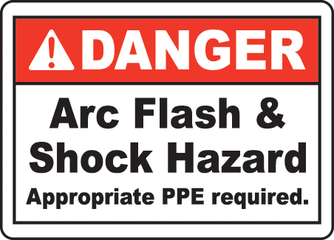 In compliance with NEC code, an arc flash analysis is required every 5 years. Engineered Solutions, Inc. will generate reports showing the incident energy, the required PPE, and recommendations of methods to alleviate the ratings. Short-Circuit Currents are currents that introduce large amounts of destructive energy in the forms of heat and magnetic force into a power system. The reliability and safety of electric power distribution systems depend on accurate and thorough knowledge of short-circuit fault currents that can be present. Short Circuit analysis is required to ensure that existing and new equipment ratings are adequate to withstand the available short circuit energy available at each point in the electrical system. Engineered Solutions, Inc. is trained and certified to use either EasyPower or SKM in order to fulfill your power systems analysis needs. A Coordination Report will help to ensure that personnel and equipment are protected by establishing proper interrupting ratings. When an electrical fault exceeds the interrupting rating of the protective device, the consequences can be devastating, including injury, damaged electrical equipment, and costly downtime. A Coordination Study maximizes power system selectivity by isolating faults to the nearest protective device, as well as helping to avoid nuisance operations that are due to transformer inrush or motor starting operations.